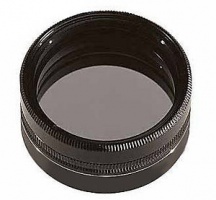 For use with any 1.25" eyepiece in conjunction with any telescope. 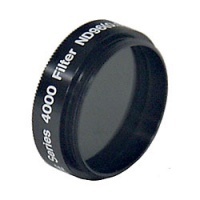 If the moon is too bright to look at through your scope, you will need this filter. 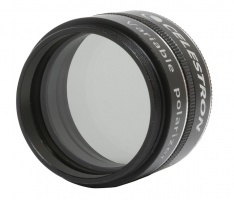 Celestron’s Moon Filter is an economical eyepiece filter for reducing the brightness of the Moon and improving contrast, so greater detail can be observed on the lunar surface. 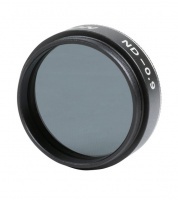 Celestron Neutral Density Moon Filter 1.25"
The Neutral Density Moon Filter attaches to a 1.25” eyepiece to lower the amount of light entering the eyepiece by 87%. The Moon is one of the most viewed objects in the sky, but you shouldn’t be deprived of its features due to brightness. Meade Series 4000 Moon Filter ND96 1.25"
The Meade Moon Filter reduces the glare, allowing transmission of only 13% of the reflected light. Not only will you see more surface features, but you can study them in greater comfort. 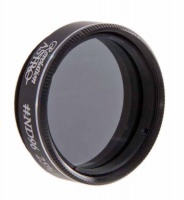 Antares Variable Polarising Filter 1.25"
This 1.25in filter consists of two joined polarized filters that provide continuously from about 2% to 40% as the rotating filter is adjusted. Great for lunar viewing without ruining your dark adaptation from staring at a bright image. Enhances contrast during planetary observation. 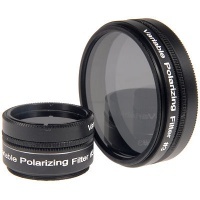 Celestron Variable Polarizing Filter 1.25"
When you want to selectively reduce the brightness of celestial objects for a customized view, the Variable Polarizing Filter is the perfect choice. Unlike regular Moon Filters and Neutral Density Filters, the level of brightness can be reduced to just 1% or as much as 40%.